Every company should consider its overall security a priority, but if the security of data is not on the top of the list, any attack or employee’s negligence can become fatal. SQL Server stores all kinds of data: from customer information to credit card numbers to business critical information. If this data is not properly secured, it becomes easy to capture for hackers as well as a vengeful ex-employee. Follow tips by IT pros: three prime rules for keeping SQL Server safe, plus three questions that will help you choose between buying a third-party tool and building your own. Read about recent data breaches and learn about virtualization as a part of your disaster recovery plan. Refer to our How-to in case you need to detect SQL Server changes. Use a Quick Reference Guide if you want to set up native auditing of SQL Server. 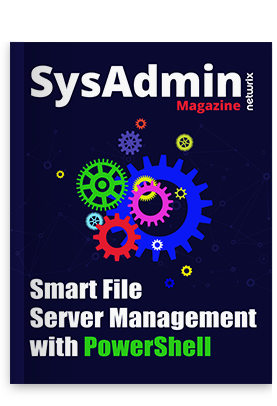 Make the November issue of “SysAdmin Magazine” your go-to asset when needing an advice about SQL Server security.